The CEX.io bitcoin commodity exchange is to introduce a trading fee within the next two weeks. The fee will be introduced in two stages: initially a fixed commission of 0.2%, which will be dropped in favour of a flexible fee of 0.2-0.5% after an initial period. The company says its fee implementation is aligned with its wider monetisation strategy, which will include the introduction of new trading pairs, including BTC/USD and USD/GHS. New scrypt mining services are on the way too. The first step, the introduction of a 0.2% fixed commission, will apply to all buy/sell transactions and will last one month. After the month is up, CEX.io will introduce the ongoing flexible fee, which will vary for each user, and will be calculated based on the user’s 30-day trading history. Each transaction will be conducted with a commission. The exchange will post all relevant details on its Trade Fee’ page, which has yet to go live. CEX.io admits that the introduction of a new fee will move it “toward the way other bitcoin exchanges operate,” but insists the move is necessary. This process is not as straightforward as it might seem. CEX.io points out that the introduction of fiat support will necessitate significant investment and that some legislative issues need to be resolved. In addition, it will require more effort on the part of CEX.io staff. The reference to scrypt mining is intriguing. CEX.io built its business around powerful SHA-256 ASIC mining rigs, which are used to mine bitcoin. There are increasing numbers of scrypt ASICs coming to market in the near future, and players like Alpha Technology and KnCMiner have recently made some encouraging announcements. The extent of CEX.io’s commitment to scrypt miners is not yet known, but the advent of fast and efficient scrypt ASICs is bound to change the scrypt mining landscape. Furthermore, the fact that much of that power is likely to end up centralised and controlled by CEX.io and other services might cause some backlash. 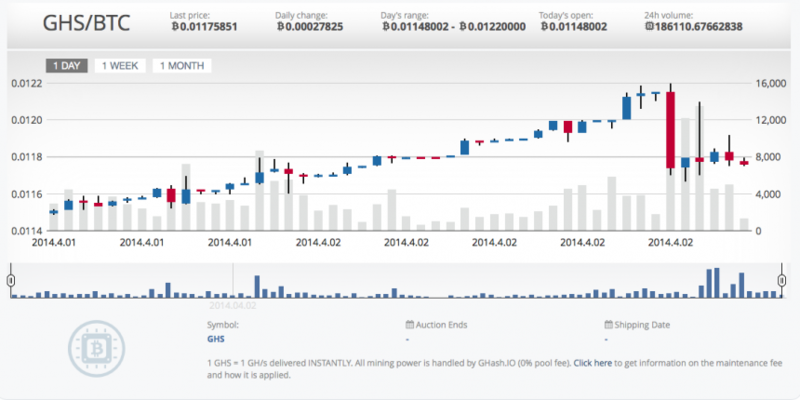 Last month, CEX.io started offering scrypt mining on GHash.io, allowing miners to connect their rigs to GHash.io. So far, scrypt cloud mining is still off the table, but the company has said it plans to introduce this at a later date – probably after the first scrypt ASICs start shipping.